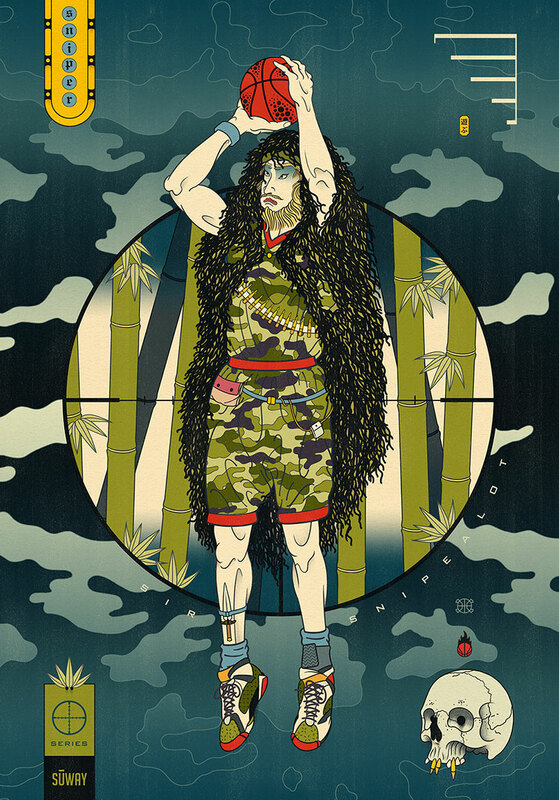 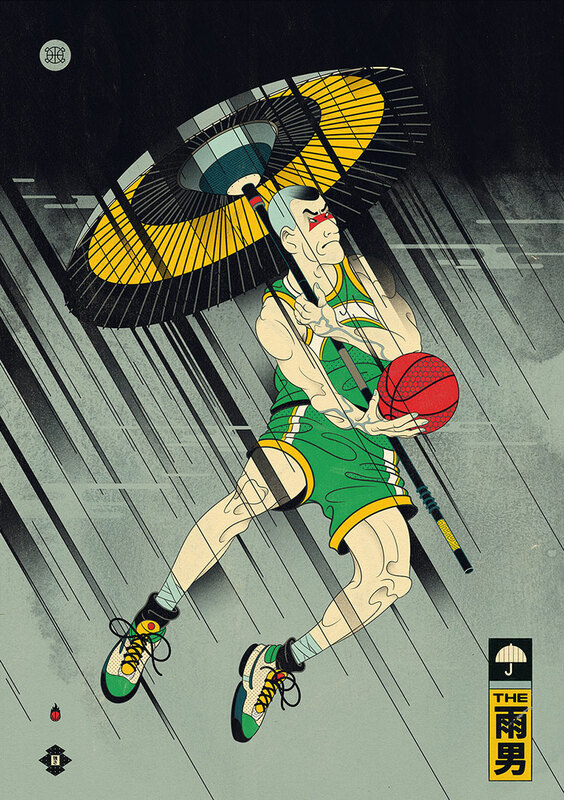 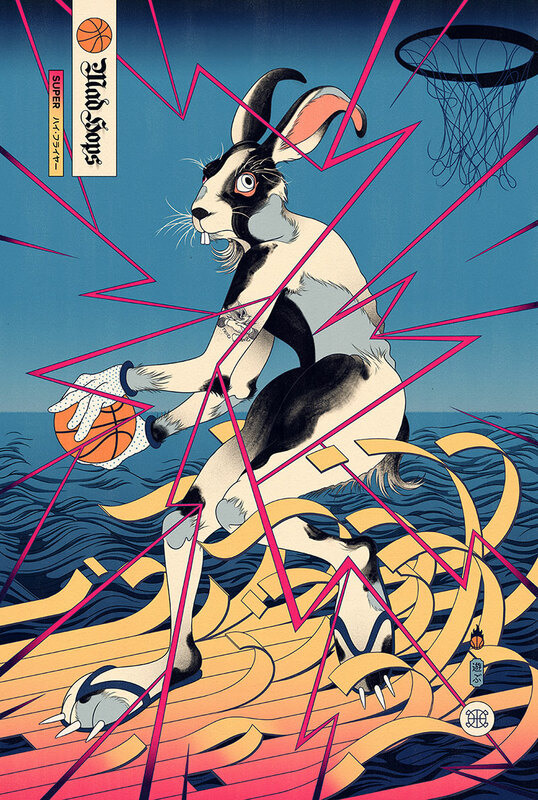 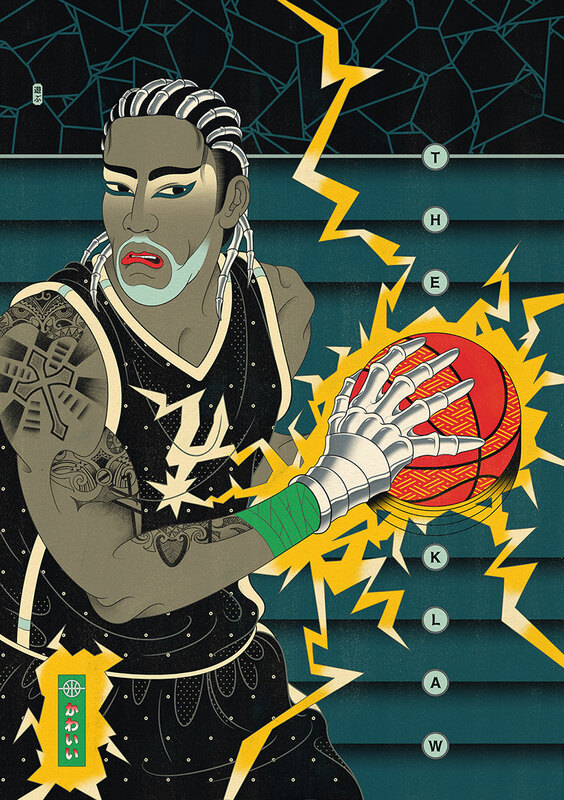 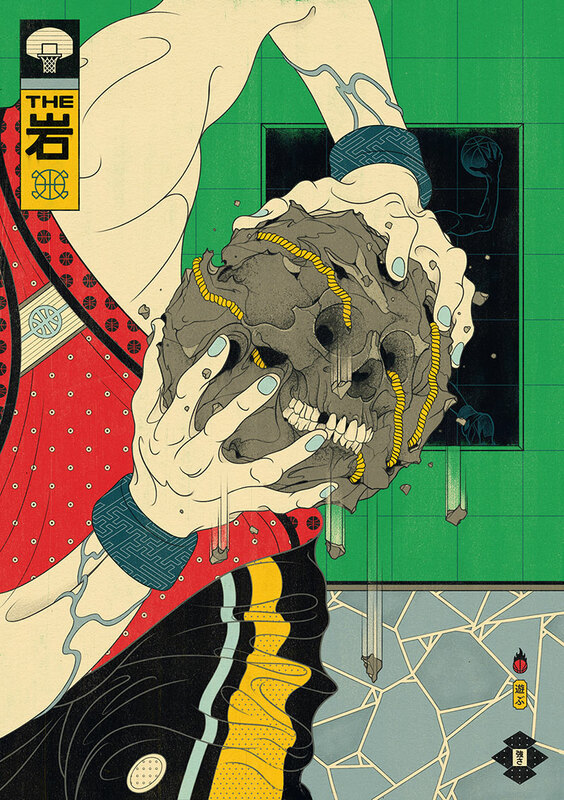 A series of illustrations inspired by basketball, Ukiyo-e art, and Japanese culture by Melbourne-based illustrator and art director Andrew Archer. 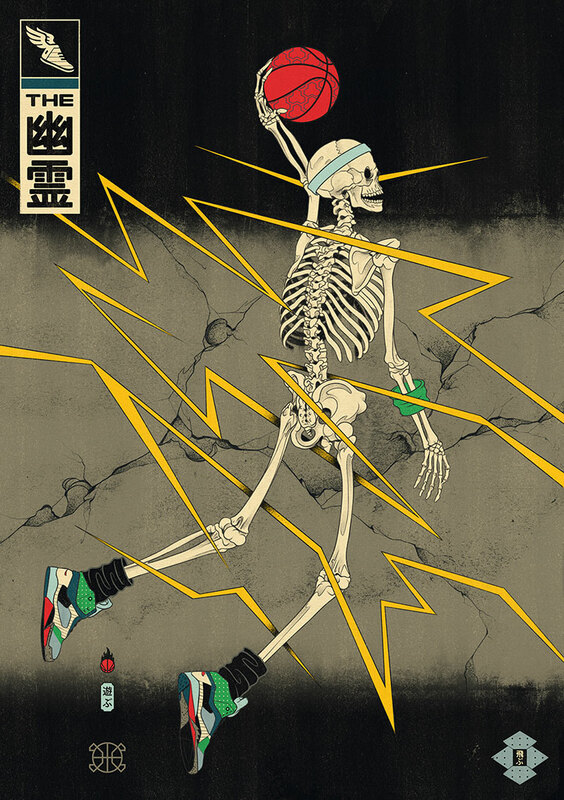 The series was started in 2013 with two works, The Rock and The Ghost, and was later revisited in 2016 with eight additional artworks. 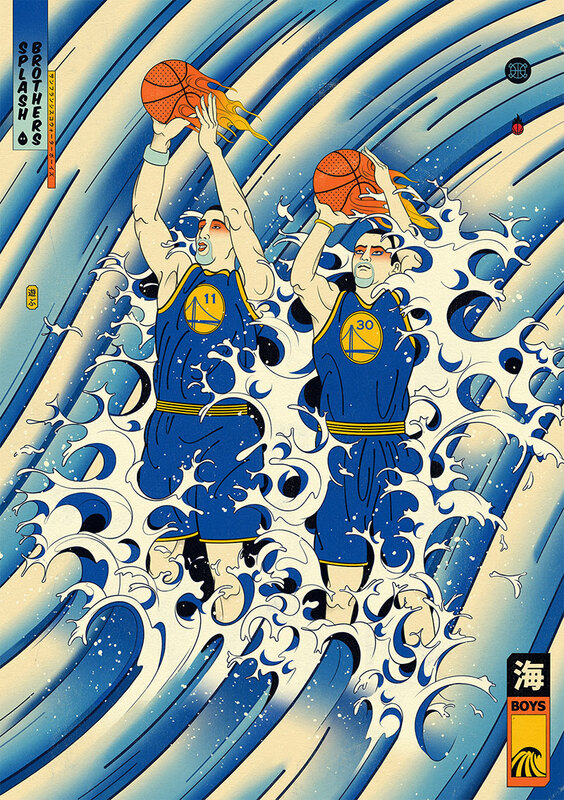 Archer states that each artwork has a story behind it: "Some are based on Japanese mythology and culture, others are narratives based on players nicknames and some are created from popular sayings from the game of basketball." 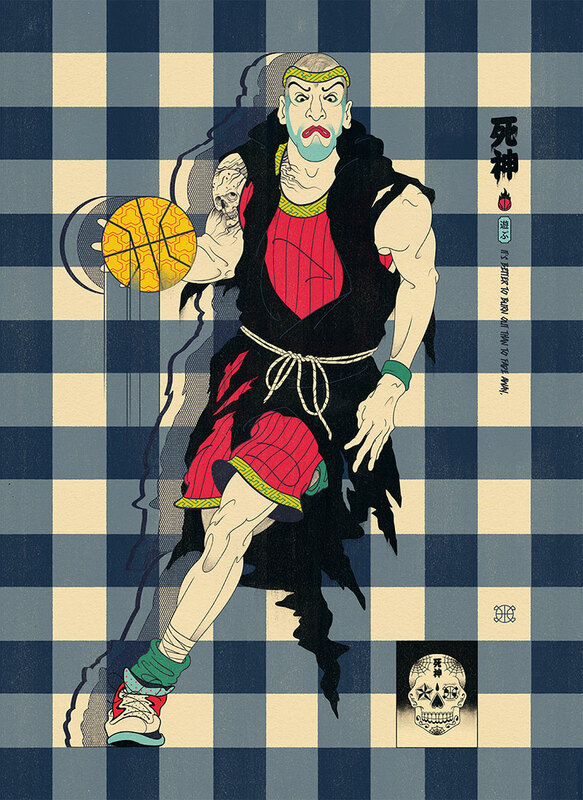 The subjects blend together seamlessly and have been incredibly popular with the basketball and Japanese culture communities. 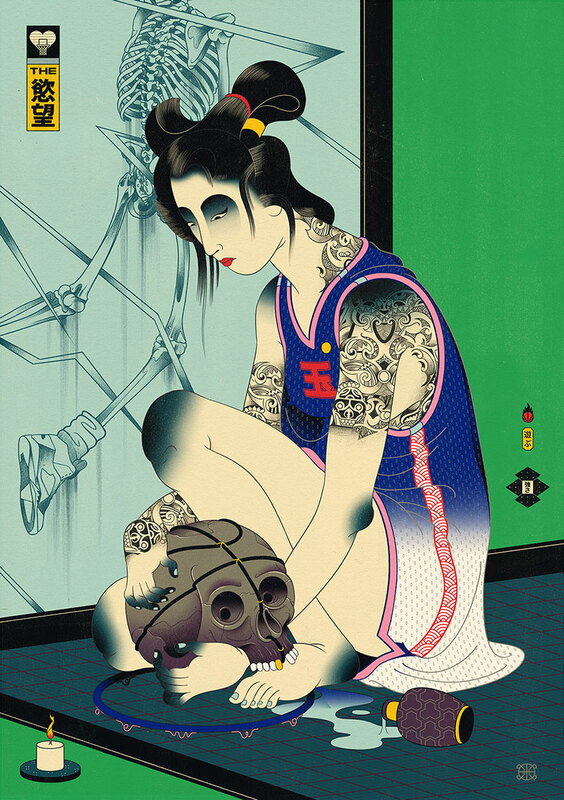 See more of Andrew Archer's work on Behance. 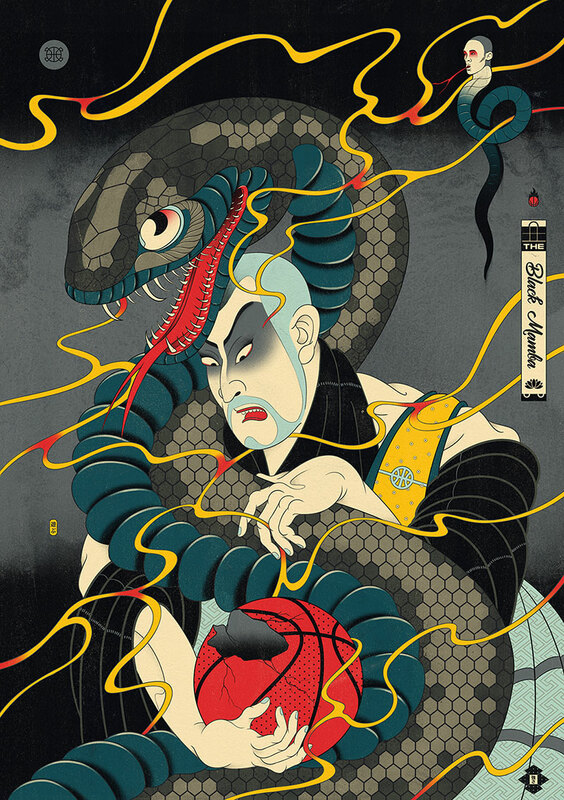 A series of illustrations inspired by basketball, Ukiyo-e art, and Japanese culture by Melbourne-based illustrator and art director Andrew Archer.